Ah your degree, so much blood, sweat and Bartons went into obtaining that important documentation of your educational journey. Sleepless nights of studying and doubles at Applebee’s finally got you to the degree promise land where jobs were to be plentiful and pay was to be high. Many of us got to the top of the mountain, only to find a lack of resources and opportunity. Our parents and educators pushed us to and through the higher education process because for centuries, a higher education was paramount to a great job, fantastic pay and benefits. Well, as it turns out, there were a whole lot of parent and educators pushing for the same thing. In a Graphs.net infographic on the history of job boards, we find some interesting numbers on Monster.com, one of the largest job boards in the world. It turns out that over half (52%) of job seekers on Monster.com have a bachelor’s degree and 24 percent have masters or doctorate degrees. It doesn’t take a college degree to realize that there are a whole lot of educated folks looking for employment. According to the Bureau of Labor and Statistics, the current national unemployment rate is 7.4 percent, the lowest it’s been in almost 5 years. College grads aren’t getting a bite of that upswing though. Recent college graduates are experiencing an 8.8 percent unemployment rate. What makes all of this worse is that the average debt of a college graduate is only going up and, pay is not following that trend. 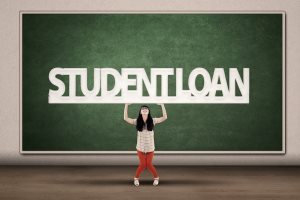 A study from the Institute for College Access and Success Project tells us that the average debt of college graduates is up 5 percent from 2010, and they are at the highest level of debt in the seven years that the study has been in place. Today’s graduates are making the same $30,000 mean starting salary that they were in 2006. Because of inflation, and a still recovering economy, that $30,000 isn’t going as far as it used to, which means that college graduates owe more, and earn less.